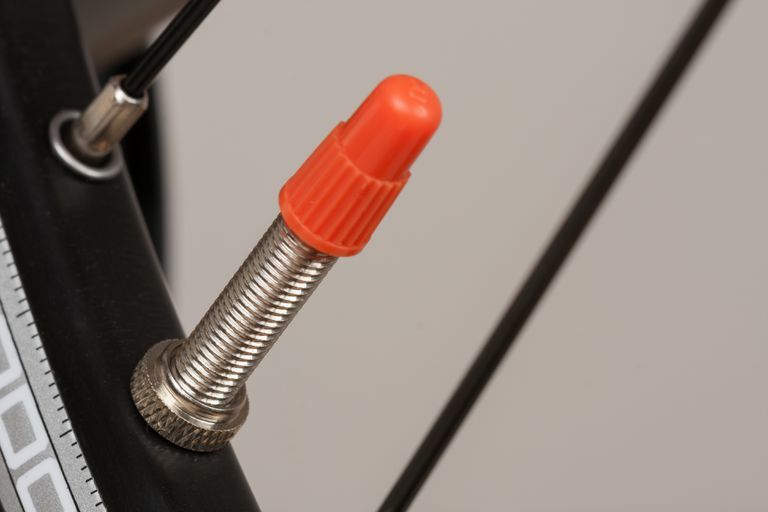 A Presta valve is the "other" type of bike tube valve, the funny-looking one with the long metal stem that comes to a point. 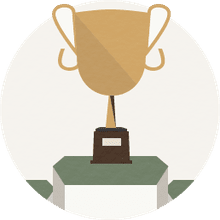 The more familiar type of valve is the Schrader valve, which is found on most kids bikes and recreational bikes, as well as on car tires and most inflatable wheels. Presta valves are commonly found on road bikes and higher-end mountain bikes. Wheels on road bikes use much higher air pressure than most recreational bikes, such as hybrids or cruisers. Presta valves evolved as the preferred valve for high-performance wheels because the valve is designed so that the high air pressure inside the tube holds the valve closed, so it can maintain higher air pressure longer. Also, the thinner valves fit the narrow rims used by road bike wheels better than the fatter Schrader valves. The main drawback to Presta valves is that they are not compatible with the pumps that you find at gas stations, and not all hand pumps include a head for Presta valves. You can overcome this drawback by carrying a valve adapter with you (always a good idea). An adapter is a small threaded cap that screws onto the end of the Presta valve and has a Schrader-type valve opening. Be sure to remove the adapter and close the Presta valve for riding. Remove the plastic cap, if the valve has one. Unscrew (turning counterclockwise) the little nut at the tip of the valve until it stops. The nut is connected to a thin metal valve pin. Press down on the nut to make sure the valve pin is not stuck; this will release air if there's air in the tube. Just a quick tap is all you need. Carefully place the head of the pump over the valve, being careful not to bend the valve pin; this can happen if you push on the pump head too hard. Lock the pump head by flipping its lever. Pump up the tube to the desired pressure. Flip the pump-head lever to the open position and carefully twist and pull the head from the valve. This is another opportunity to bend the pin, so be careful. Tighten the nut on the valve by turning clockwise until is it snug; do not over-tighten. Replace the plastic cap. Note: Some, not all, Presta valves have a small metal ring that threads onto the valve stem. This should be snug against the bike rim. It's merely there to support the valve when pumping and does not have to be tight. The tube works the same with or without the ring. A Presta valve consists of a hollow stem and a core that screws into the stem and contains the valve mechanism. If you have trouble with the core, such as a bent pin or simply a leaky valve, you can unscrew the core and replace it. Cores are sold in packages of 10 or more, for about $1.20 to $1.50 per core. The best way to remove the core is with a simple tool called a core remover, or you can use needlenose pliers.